Grosscup is author of several books including The Newest Explosions of Terrorism and, most recently, Strategic Terror: The Politics and Ethics of Aerial Bombardment. Currently in Virginia, Ahmad is based in Lahore, Pakistan, where he is director of the Center for Global Dialogue. He said today: “The Orlando mass shooting is a tragic atrocity that is, at the very least, partially attributable to the multiple fundamentalisms spawned by the political maneuverings of Washington and its ‘moderate’ fundamentalist allies in the Muslim world, particularly Saudi Arabia. 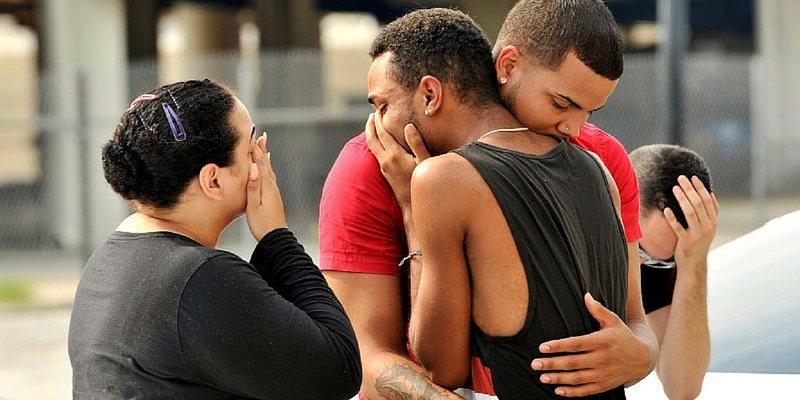 While it is still too soon to determine the veracity of the narratives around the shooter’s motives and recent behavior, even if we accept some version of it – it is a tragic amalgamation of the systemic pathologies of our time: fundamentalist-inspired hatred of the ‘other’, in this case homosexuals, and militarized, terrorizing violence, conducted wholesale by states and retail by private, non-state actors. Whether or not mental illness contributed to this shooting, it is incontrovertible that these tragic cases have nothing to do with religion per se, but deeper contemporary processes that have fueled violence at home and abroad, with guns, bombs, and drones that have caused countless, nameless victims, in places like Iraq and Afghanistan, becoming so commonplace. Ahmed has also been secretary general of JUST International, the International Movement to Create a Just World. He is on the faculty of advanced studies at the University of Management Technology and on the faculty of law and policy at the Lahore University of Management Sciences.